We were commissioned to enlarge and rationalise the disjointed living accomodation of a Victorian Semi-detached property. 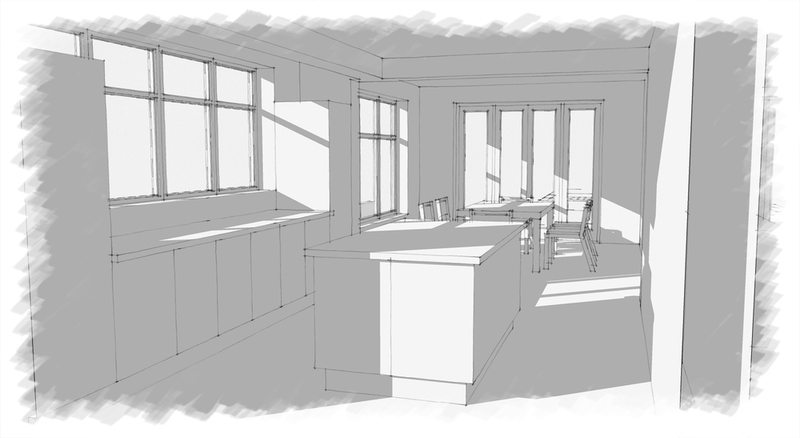 The client loved the large spaces of the exisitng main rooms, though felt they were being let down by the small kitchen and breakfast space to the rear of the house. 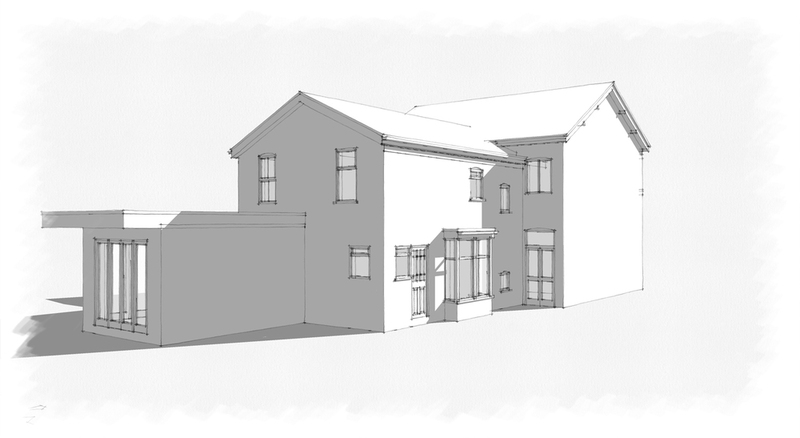 Our client wished to modernise and update the current layout, whilst adding to the space that they currently had. 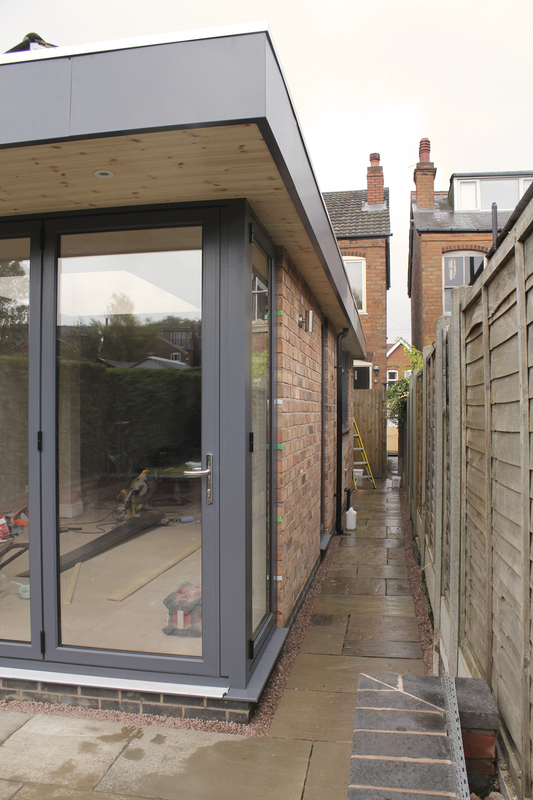 The new kitchen/dining/entertaining space enlarges the current wing to the rear of the house, with high level glazing and roof lights which allows light to filter into the deep plan. 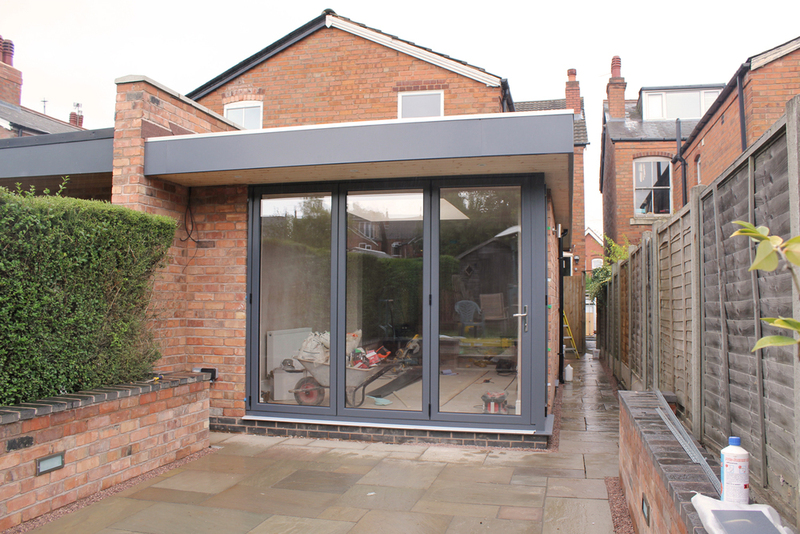 A full height slot window to the rear of the dining space is a minimal feature that gives a snap shot externally. The large over head rooflight ensures the space is flooded with light. A mulit-functional Utility and WC is created from what would have been two small rooms. Appliances and storage are hidden with built in cupboards giving a seamless appearance to the required storage for a more luxurious space. As the rooms are rarely used and only then for short periods, the dual use has limited impact on functionality. The Project is presently under construction and is due to be completed in the next few weeks. The parapet wall was extended to carry on the divide between the neighbouring properties for seperation. This also enabled the floating roof to sail into this. Posted on August 16, 2013 by Ben Mainwood.